As a day trader, risk management is just as important as developing a solid trading strategy. No day trader is perfect and all day traders will inevitably have losing trades. A fine-tuned risk management strategy is what gives traders the ability to lose on trades without causing irreparable damage to their accounts. Think of it this way. A day trader can have a 50% win rate and still be profitable if they're average profit is twice the amount of their average loss. Contrarily, another trader may have a 75% win rate with average losses that are four times higher than their average profits. Have a look at the formula below to better understand the concept. This formula can be used to determine a trader's long-term profitability. Even though Trader B has a higher win rate, he is not profitable due to a poor risk management strategy. What is the point of this? Limiting losses is just as valuable as increasing your win rate and, generally speaking, it is much easier to limit losses than it is to increase your win rate. Higher risk/reward ratios give traders an edge in the markets. 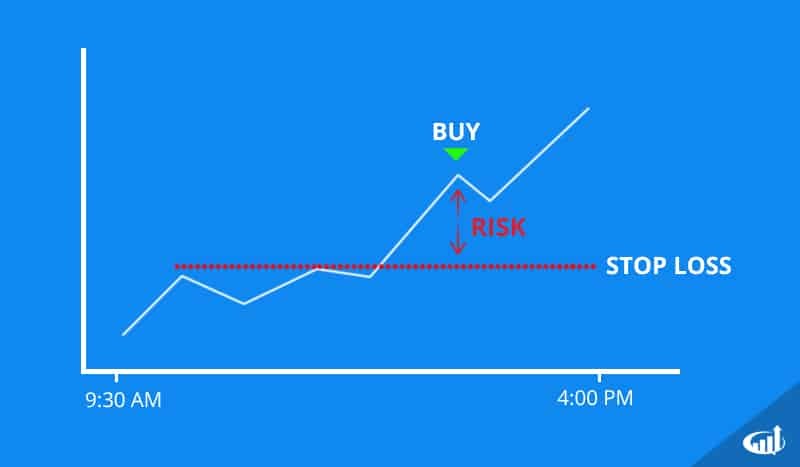 Successful day traders are generally aware of both the potential risk and potential reward before entering a trade. The goal of a day trader is to place trades where the potential reward outweighs the potential risk. These trades would be considered to have a good risk/reward ratio. 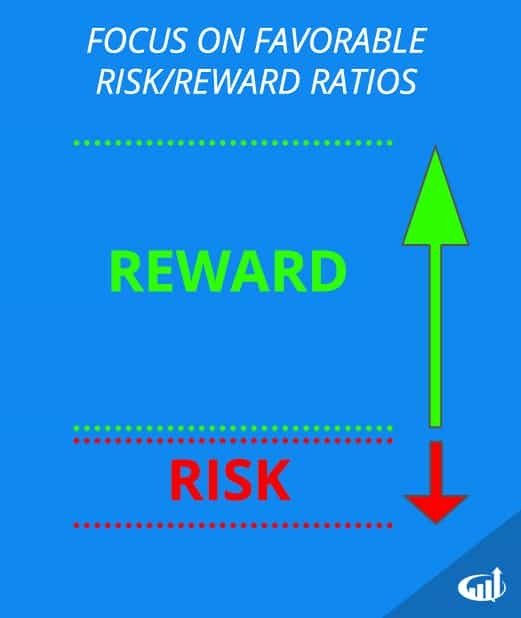 A risk/reward ratio is simply the amount of money you plan to risk compared to the amount of money you plan believe you can gain. For example, if you think a potential trade may result in either a $400 profit or $100 loss, the trade would have a risk/reward ratio of 4:1, making it a favorable setup. Contrarily, if you risk $100 to make $100, the trade has a risk/reward ratio of 1:1, giving you the same type of unfavorable odds that you can find in a casino. With regards to the long-term profitability formula above, finding trades with high risk/reward ratios (3:1 or higher), will help you maintain higher average profits and lower average losses, making your trading strategy more sustainable. A stop-loss is a pre-planned exit order for a losing trade. These can be executed manually or automatically on a broker platform. The purpose is to cut losses before they grow too large. Stopping out of a losing trade can be one of the hardest things for day traders to do consistently. However, failing to take stops can result in margin calls, unnecessarily large losses, and ultimately account blowouts. A stop loss allows you to control your risk by placing a sell order in case the trade goes against you.